Calzolari is the old art shop in Florence founded in 1910 by Professor Enrique and Mario Calzolari. It is currently run by the painters Ida and Giovanna Calzolari. This piece was purchased in the old art shop located in Florence’s historic district. This famous artist and art shop renders these valuable oil paintings in the Flemish as well as Italian 19th century style. Each painting is enhanced by refined and original frames, which are hand made. 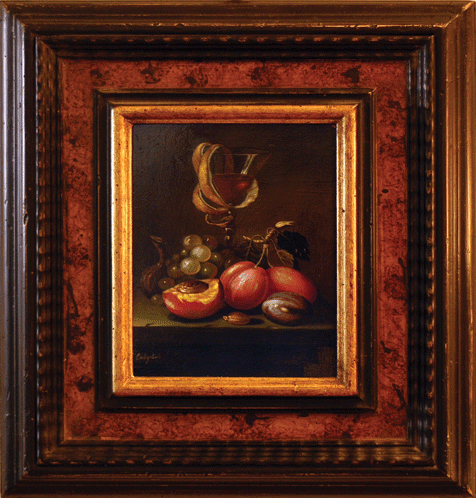 Calzolari is listed in Davenport’s with auction records and is famous for Dutch style paintings on copper.